The Encyclopedia of World Religions, Revised Edition provides young adults with reliable, unbiased, and easy-to-use information on the world's religions, from ancient times to the present day. 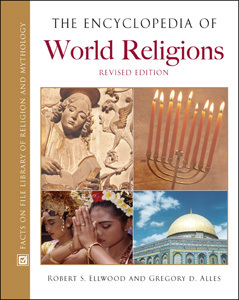 In about 600 entries—with 115 new to this edition—this revised edition covers all the major and minor religions of the world, including the religions of the ancient world; the major religions practiced around the world; religions of contemporary indigenous peoples; definitions of religious symbols and ideas; key leaders and thinkers; and terms and definitions. The new entries and photographs broaden the encyclopedia’s representation of world events and the impact of those events on the world’s religions. The book also covers religious fundamentalism—especially within Islam, Christianity, and Hinduism—and documents the burgeoning religious movements in Latin America, Africa, East Asia, and the United States. All major entries now come with suggestions for further reading. UFO religions (e.g., Heaven’s Gate).